The Milwaukee Deli has a storied history, and its home was just days away from being demolished. Through prohibition, the Great Depression, times of citywide decay and years of rapid growth, Albert Ladzinski’s vision for a casual eating and drinking establishment have survived it all for over a century. Born and raised in Berlin, Germany and unaware of his royal heritage, Albert opened his first wine and delicatessen at the age of 16. Six years later he sold the business and immigrated to Chicago. It was there he developed a taste for Milwaukee-style German dishes and a love of American culture. 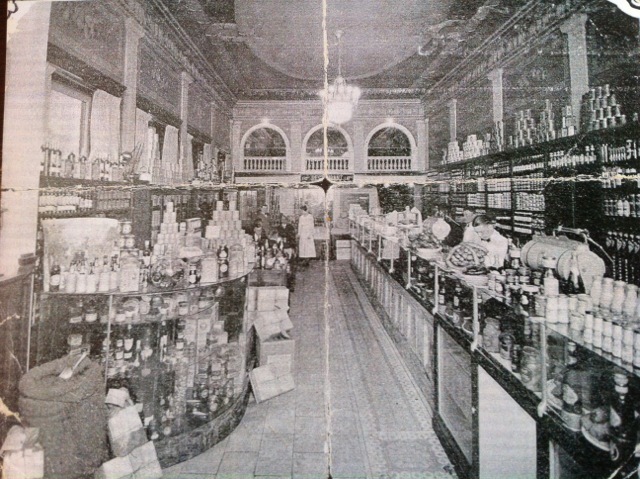 In 1900 and at the age of 28, Albert and his wife Laura moved to Kansas City and opened our first-ever deli – The Milwaukee Delicatessen Co. at 809 Delaware. After a few successful years of business, The Deli moved to the city’s most happening area – The corner of 9th and Baltimore. By day, The Deli was a lunchtime favorite of business professionals. By night, it was a hub for celebrities, local politicians and area cosmopolitans. The place was known for exceptional German dishes, good drinks and great conversation at all hours of the day. The Deli remained successful for decades, even through prohibition and Albert’s passing in 1934. At that time the business passed to his son-in-law The Irishman Lester Quinn. 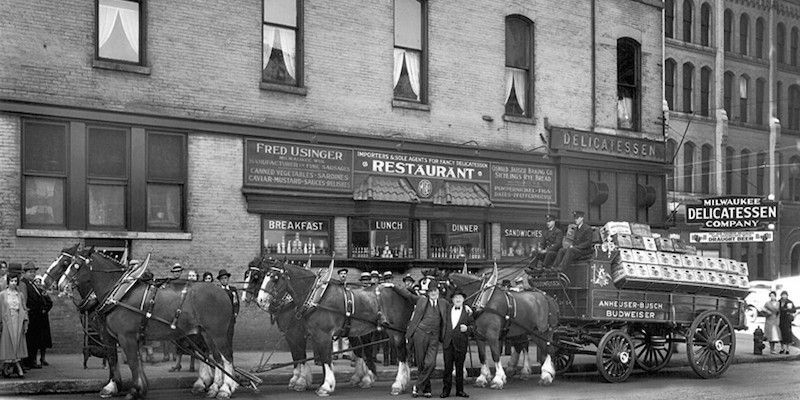 But in 1938, despite Albert’s sterling reputation throughout the community, in order to distance itself from the well-known founder’s German heritage, The Milwaukee Delicatessen Company changed its name to The New Yorker Restaurant and moved to the new Fairfax Building at 11th and Baltimore. 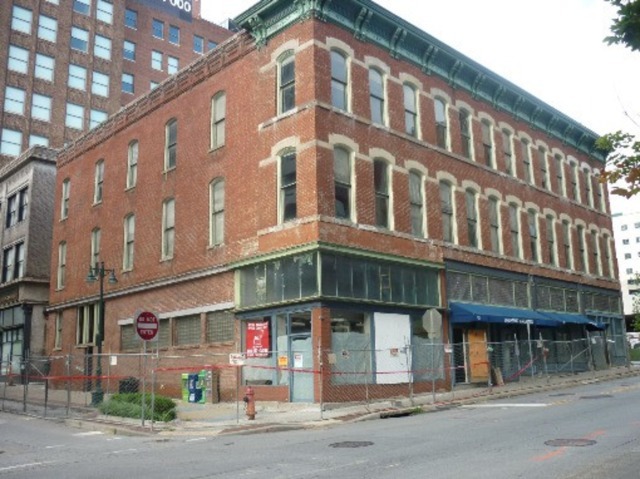 For nearly 20 years the Deli space sat vacant while the Cosby Hotel, which occupied the top two floors, fell into disrepair. Then, in 1955, Gary Lane bought the building and converted the downstairs into his now well-known blueprint company. In the world of historic preservation, the people who, along the way, cover up the historic material hardly get the credit they deserve. Gary and his company could have easily torn out all of the decorative art you see about you. Remember, in 1955 it wasn’t historic, it was just old. Instead, they carefully covered it all (including a thin layer of concrete over the hand-cut marble floor), thus allowing future generations to experience a bit of everyday life from 1881. Lane sold the now 100 year old building in 1981. It sat empty and decaying until 2010, mere weeks before it was to be torn down. Now, unlike the amazing buildings that surround us at 9th and Baltimore (The New York Life Building, The New England Building, The Bunker Building), this building was built by local developers and builders. It was just such a group that brought it back to life. See photos from the renovation. Today, Albert Ladzinsky (that’s him in the bowtie) still smiles proudly from the iconic photo that greets our customers. Admittedly, he is glowing because it’s 1933, and the first beer delivery after the repeal of prohibition has arrived! We can’t help but think he would be pretty pleased that patrons experience the establishment same as their predecessors would have over 100 years before them. They walk the same marble floors, look upon the same ceiling murals and handcrafted balcony with the exact same layout, complete with great food and drinks, and comfortable atmosphere. At The Milwaukee Delicatessen Co., it’s not about honoring tradition. It’s about recognizing the classics.